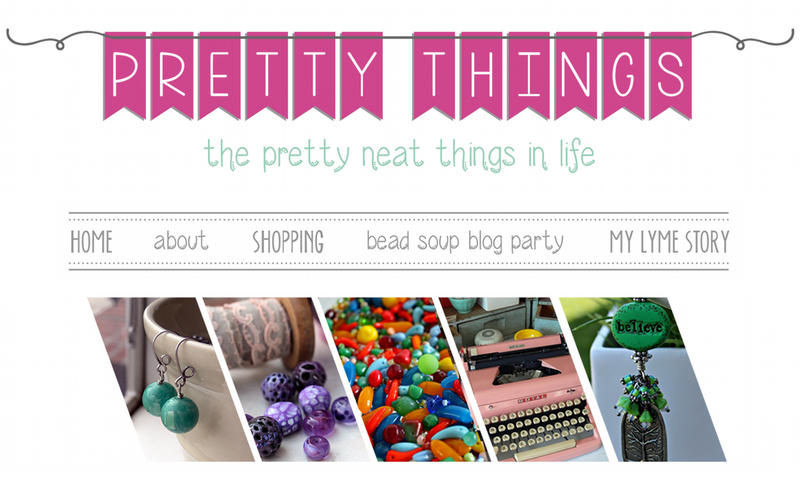 Pretty Things: Where is Everyone Coming From? 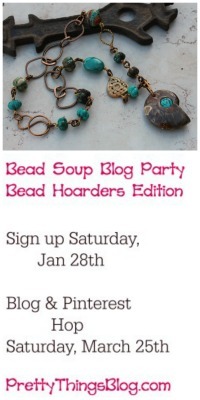 As this Saturday's Bead Soup Blog Party grows nearer, Stephanie of Pixybug Designs came up with a GREAT idea and I spent a chunk of last night implementing it. With 210 participants sending beads to partners, and those 210 participants making jewelry with those beads (all to be revealed on their blogs this weekend) -- just where exactly have they come from? In addition to all over the United States, we have Canada, Australia, Russia, Spain, Italy, Finland, Sweden, Poland, Switzerland, Luxembourg, France, Germany, England, and Ireland. Isn't that AMAZING? 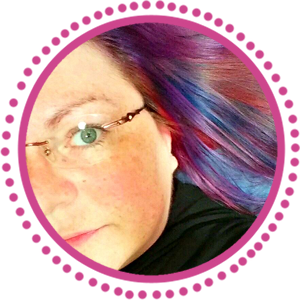 Don't forget to mark your calenders for this Saturday, February 26th, to start blog hopping - I promise it will be worth it. Print a list of the blogs, because I know 210 is a LOT to do in one day! But some will have giveaways, some will have posts that match your personality, some may be written by people right down the road from you. You just never know what you'll see. A hint as to what one of my pieces will be incorporating! I for one am looking forward to THIS hop with a nice cup or two (or three) of coffee...make that decaf, because I just saw that list! Lots to see! I thought of sessions of 30 blogs at a time, then a break of half an hour and then the next 30 a.s.o. :-D Is that a bad idea?! I can't wait! I have mine all ready and will be working on my blog post for the weekend today! SMILE! Thank you for organizing this massive event! You ROCK! That is amazing! I had no idea there were so many participants and from SO many different places. I'm so excited to see what happens on Saturday. Wow! The pins on the map are really impressive. Can't wait until Saturday. 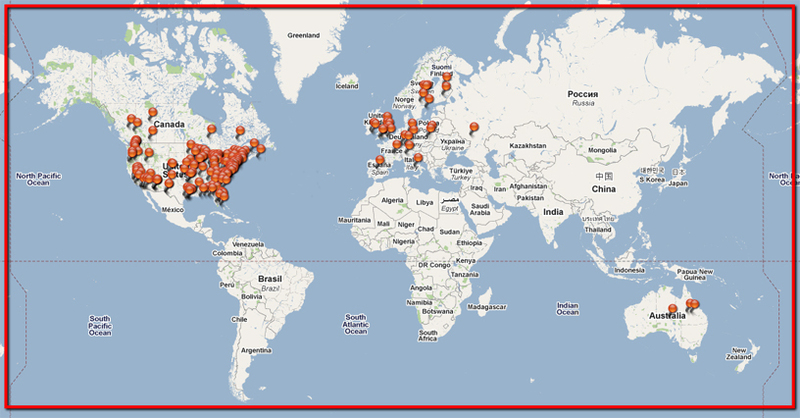 It's so much fun to see where everyone is from...I love to look at the stats of my blog to do the very same thing. It's an amazing thing to be able to meet and greet people from all over the world. Who knew that it would be so easy??? Okay, so I'll warn the family today that laundry and other chores may not get done on Saturday, because Mom's going to be busy enjoying 210 servings of bead soup eye candy. Can't wait! My blog is all cued and ready to load Saturday morning! Would love to get my paws on some of those buttons! SO excited Lori! However, my pieces aren't finished yet...gulp...!! I'm ready, lets go, is it time yet. LOL Can't wait to see what you made with those buttons. Love them. 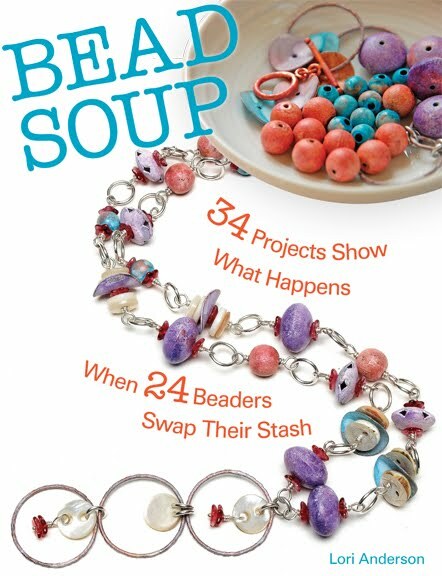 Thanks so much Lori for everything you have done putting this Bead Soup Blog Party together. Humm, now to go make something for a giveaway which is a great idea. Wow! Maybe we will spread around the globe a little more for the fourth party. You have a great thing going, that's growing every year. You should be proud, this is quite an undertaking. Thank you. See you Saturday! This will be so Wonderful it will be *Get away from the PC* or else! A time to really Relax and see so many beautiful things! I love the map and that I can see where we are all coming from. Wow...! This is amazing... I loved it. This is my first Bead Soup and I'm really excited to see what others have done with their beads! So amazing that you have tied the world together with a wonderful concept! Maybe we should introduce beading to the UN? It will a great time...hope I can visit!!! Wow its going to be exciting to see it. All you fabulous jewelry people. Good fun loving people too! Thanks for sharing. Oh Lori, all your pieces are absolutely wonderful. I love them! And you have been so productive. Very inspiring. Thank you for everything! You are the bestest best!